Whether it's a cocktail soiree or sophisticated party, a sit down dinner or corporate boardroom lunch, Hotel Urban St Leonards will have you covered. 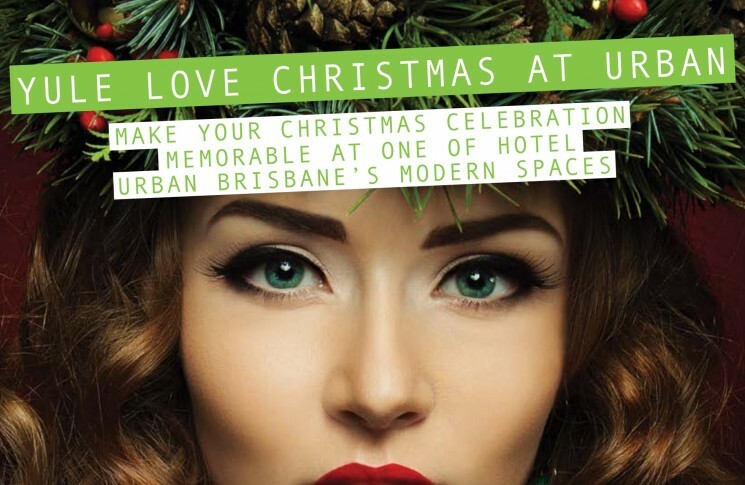 Hotel Urban St Leonards is the best place to have a corporate Christmas party on Sydney’s leafy North Shore. Offering a boutique range of packages ranging from cheap Christmas Party packages for the frugal organiser, to luxurious Christmas party options for those who love to go all out with their event. Choose from three diverse, flexible spaces for your small to medium-sized Christmas celebrations. The alfresco terrace of Sure Cafe is yours to use exclusively and is ideal for a summer Christmas cocktail party! Surrounded by landscaped gardens, your guests will love to chill out on our 12 person day bed. The retractable roofing gives you flexibility to enjoy open air balmy nights or to close it up if it gets a little chilly when the sun goes down. If you’d like to stick indoors, you can use Yin and Yang rooms individually for a more intimate festive gathering or together as one room for the ultimate party space! Yin and Yang can accommodate up to 100 people cocktail style & 60 people for a sit down dinner (with a dance floor). The private outdoor terrace is ideal for those wanting to escape the frivolity of the party for a quiet chat. It’s also a great space for our Chef to BBQ you some tasty treats – you can even test out your skills on our private putting green. Extend your Urban event experience and stay overnight in luxurious accommodation. Enjoy a great night’s sleep in Urban’s signature bed the ‘Urban Snorer’, delight in delicious cuisine at Sure Cafe, unwind with gorgeous Biology bathroom products and some peaceful relaxation and comfort – all this and only a stone’s throw from Sydney’s city centre. Ask us about our special Christmas event accommodation packages we have available.